Red is the color of love, passion, seduction and adventure. The color of heat, fire, blood and energy; it also signifies anger, danger and violence. Red has a lot of definition according to beliefs, culture, science and history. 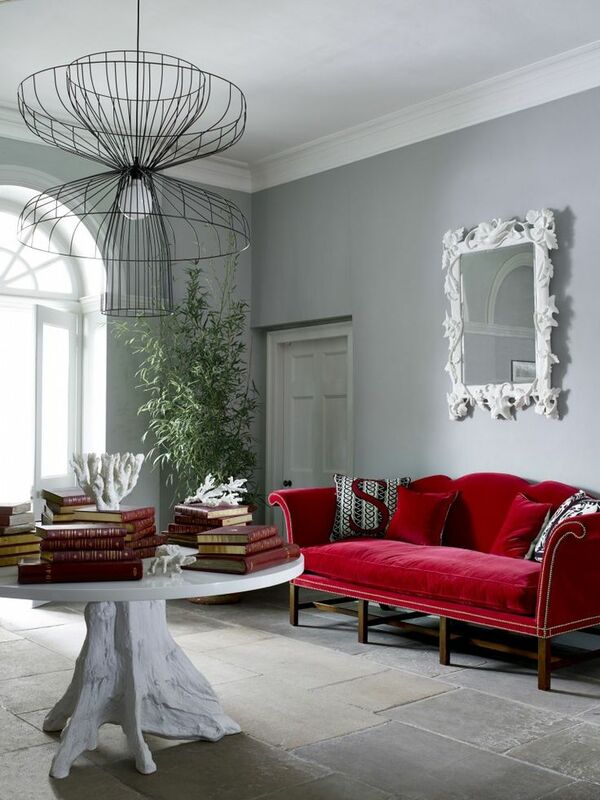 Red used in Interiors creates drama when used as an accent color. It also creates warmth to create intimacy in a room. When using this color, one must know the use of of the area to determine the how the red will be used. Red used in Front Door can determine the look of your architecture and interior themes. It gives a strong impression of the user of the house. 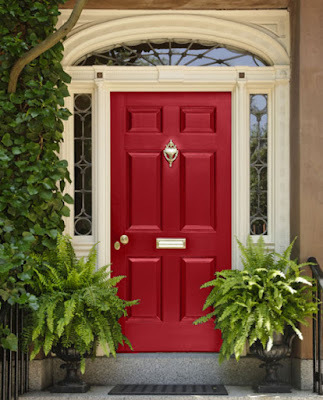 Having this color on your entry door can be practical as this can be a land mark within your subdivision. Living Room the focal point of the entire home; where visitors come and visit. Using color for the sofa makes it stand out especially when its the only bold color makes a statement. It gives a sensual impact the users. For a Cheaper option; use Red Paint in one corner while keeping neutral palette on your furniture. Having Red in this area stimulates conversation and excitement to share stories among your friends and family. 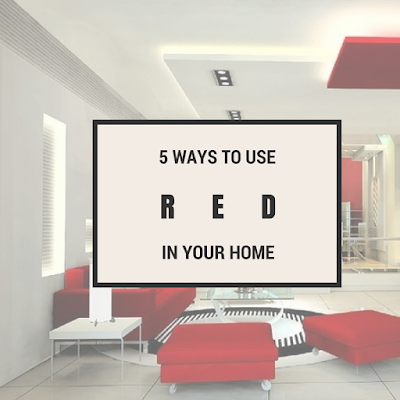 Red when used in Dining Rooms makes us crave more of the food we eat. It gives us an appetite to enjoy what was brought in the table. Using different shade of Red can be fun. 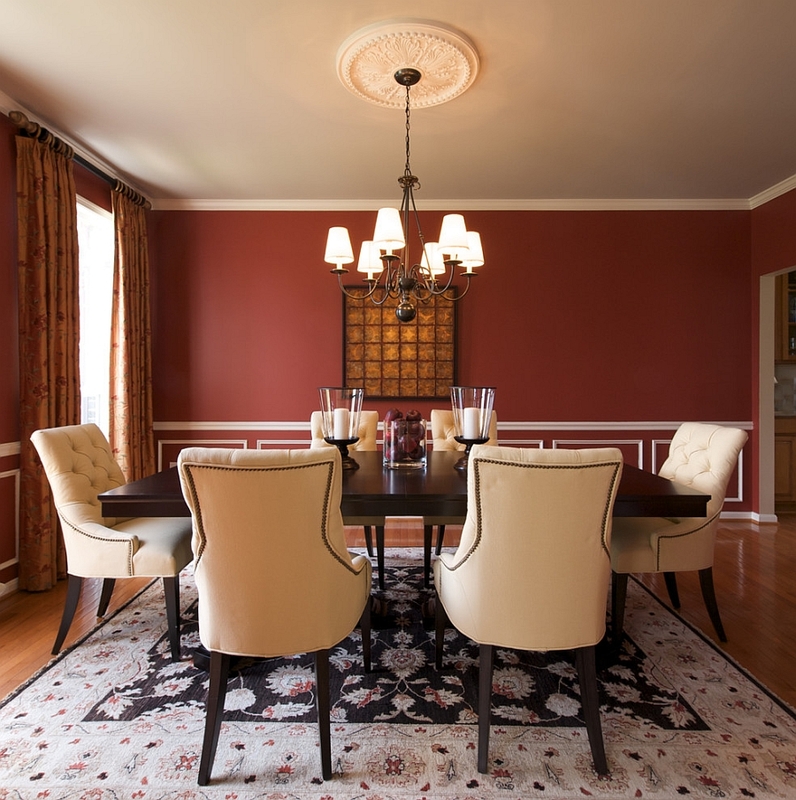 For this Room, a Burgundy Paint compliments the luxury themed dining room. This area stimulates conversation while having a strong appetite that draws people together. Having more time to enjoy food and people. Modern and Sleek Kitchen with a punch of Red on its door closets. Another way to spruce up your Kitchen is to use a Red backslash for a minimal cost. Red when used in Kitchen has the same effect when used in the dining room, in this area, it increases ones blood pressure because of its excitement. Having a Red bedroom would be my ultimate goal. It gives an energy and warmth. Red when used in bedroom should be done in minimal application to promote more sleeping time to the user. Red is a motivating color that energies and motivates ones emotion. it gives a strong and powerful impact to people who uses or loves this color. It's warm qualities gives a will power to take action on its determination. Choosing Red as your main color determines ones personality and reflection of its culture.